Animal Rescue, Inc. and Jarrettsville Veterinary Center have transported 14 dogs from North Carolina shelters. 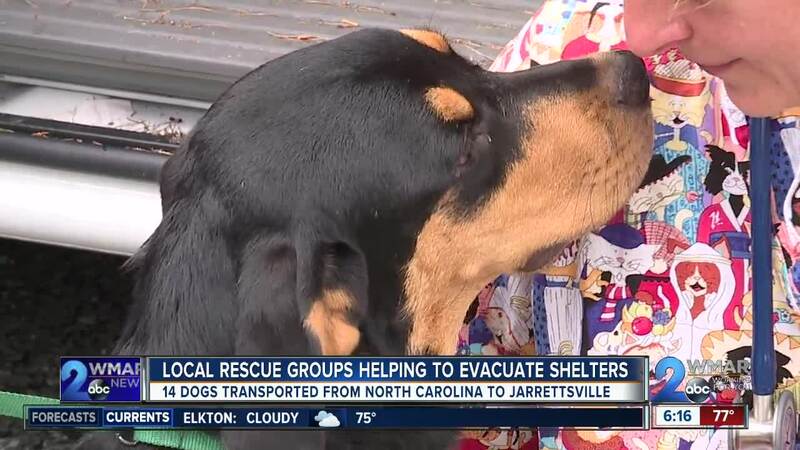 While people travel to get out of Hurricane Florence’s path, animal rescue organizations are working to save shelter pets in the Carolinas. 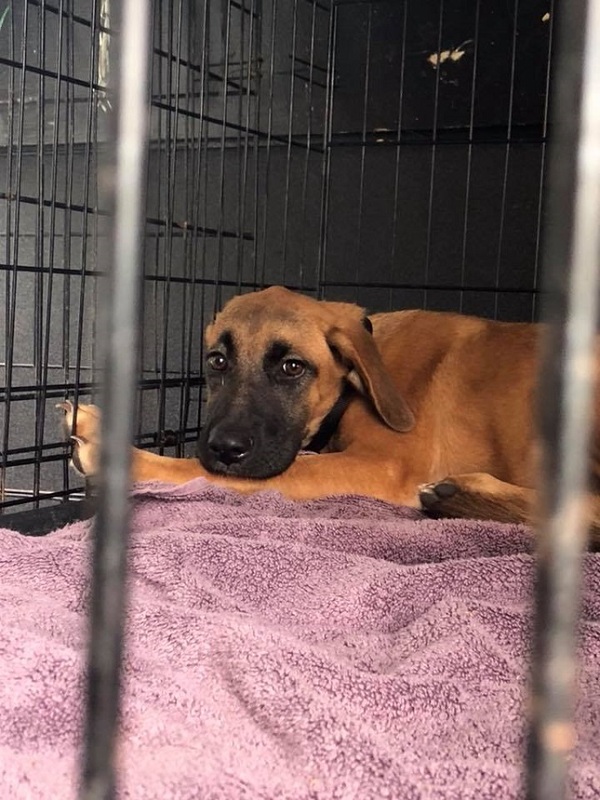 On Wednesday, Animal Rescue Incorporated transported nine dogs from Burgaw, North Carolina to Jarrettsville, Maryland. Burgaw is 25 minutes north of where the eye of Hurricane Florence is expected to pass. “Sent a driver down at 9 o'clock yesterday morning and he came back 11:30 last night. He drove straight through, down and back. He did a great job for us,” said Philip Staelens, director of Animal Rescue, Inc.
Staelans and his wife run the rescue out of Pennsylvania. In their 40 plus years in operation, they've been through several storms. Nine days after Hurricane Katrina they were in New Orleans and responded last year to Puerto Rico. Seeing the animals abandoned in those conditions and struggling to survive is why they're working now with shelters in the Carolinas to get animals out before Florence arrives. “[Shelters] are worried about leaving and not being able to get back to the facility, so if the roads are blocked and they can't back to get them then those dogs might be sitting there for days without food or water. They're worried if the shelter gets flooded, those dogs might drown, it's a real problem,” said Dr. Krista Magnifico, owner of Jarrettsville Veterinary Center. But now that they're here, they'll be up for adoption sooner. Dr. Magnifico is examining the animals that have arrived and issuing health certificates. Once they check out, they can begin the adoption process. “Sometimes, we're in this real transient period where you have to hold them for a period of time as a stray hold to try and find their parents, but these guys have either been willingly surrendered by people who are leaving and couldn't bring them with them or they were dogs picked up by the shelter,” said Dr. Magnifico. Rescues coming together to save lives. Even if the animals don’t know what’s going on, it’s evident in their eyes, they’re thankful. “The best thing about one of these rescue dogs is they come to you, immediately loving you, and immediately grateful,” said Dr. Magnifico. A staff member with Jarrettsville Veterinary Center is transporting five other dogs from North Carolina. They’re expected to arrive Thursday evening. If you're interested in adopting any of the hurricane dogs, or would like to help out. Click the links below for more information.